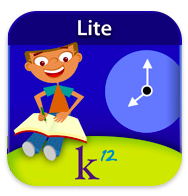 Do you have students that need to work on their reading fluency? Then find yourself a headset or earbuds with a mic because Timed Reading focuses on just that. For this particular review, I chose to download the lite version. However, for a mere $1.99 you can upgrade to the full version and get 225 more books, an unlimited number of accounts and 46 leveled stories within this app. In the lite version there was only 25 books and I could only add one student. For a classroom teacher or even a special needs teacher, I think that it would be well worth the money to get the upgraded version. What student wouldn’t want to sit in the back of a room and read into a microphone? As my husband tried to fix our television, I was practicing my reading fluency with a story called The Rain in Spain. Within the settings I could select what grade level my user was at and if I so chose, I could also select which reading list I wanted to begin with within that grade level. By having the upgrade, you could have multiple users and set each at their own level thus differentiating your instruction. Sometimes you just have to differentiate your instruction in order for students to be successful. Once the user is ready, they click the READ! button and are then prompted with a 3-2-1 count down. If necessary, the user can pause in the middle and resume when ready to begin again. As they finish each page they use the arrow keys to navigate throughout the book. At the completion of the book, a user will see the DONE button and how they faired. This information is then saved to their profile on either the iTouch or iPad. 1) If a session is saved, where does it get stored? In the upgraded version, is there a teacher side of the application that this information can be found? 2) Would it be possible to lock the settings so that other users can not change others reading levels? Or does this change manually as you work through each book? 3) Would it be possible to print out reports that could be brought to parent meetings? 4) Not sure if it is necessary or even possible, but could a student/teacher listen to how they read each leveled book? 5) Would it be possible to switch from arrows to a swipe of the screen in order to navigate from page to page? 6) Does the WPM account for mistakes or even words incorrectly said? Timed Reading has a great deal of potential!!! I look forward to future updates that this application might have. 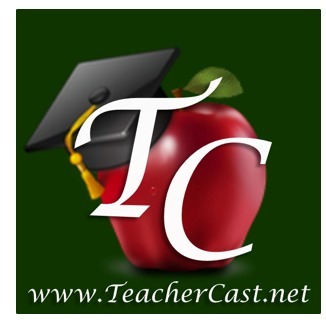 In the meantime, if you would like to learn more about K12 be sure to visit them at http://www.k12.com/ or visit them in iTunes by clicking here.